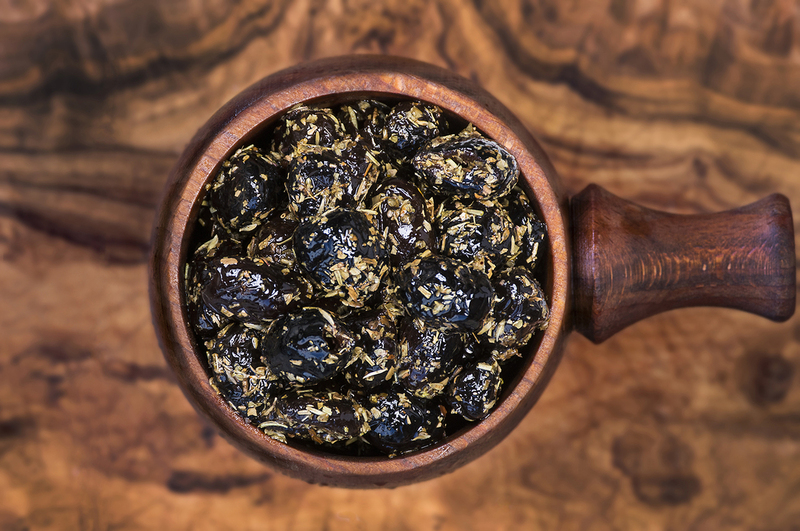 The classic Moroccan olive is salty and full of flavour, ideal for salads and slowed cooked stews. The addition of rosemary and sage lifts these olives to another level...add a handful to homemade focaccia or a rich tomato sauce to create an exceptional dish. Pitted Black Olives (94%), Garlic (3%), Rosemary (2%), Sage (1%). (Warning: Some olives may contain stones).